Tokyo has been a well-traveled destination for decades. Cherry blossoms, Mt. Fuji, and sushi grace the postcards and photographs. This thriving, colorful city is famous for many more reasons than one. Tokyo boasts so many noteworthy attractions that it can be difficult to know what it was famous for first. If you plan on visiting this famous city, here are some of the top 7 things Tokyo is famous for. Harajuku refers to a region in Tokyo known for extreme fashion and youth culture. The streets are filled with cafes, young fashionistas, museums, and tourist attractions. 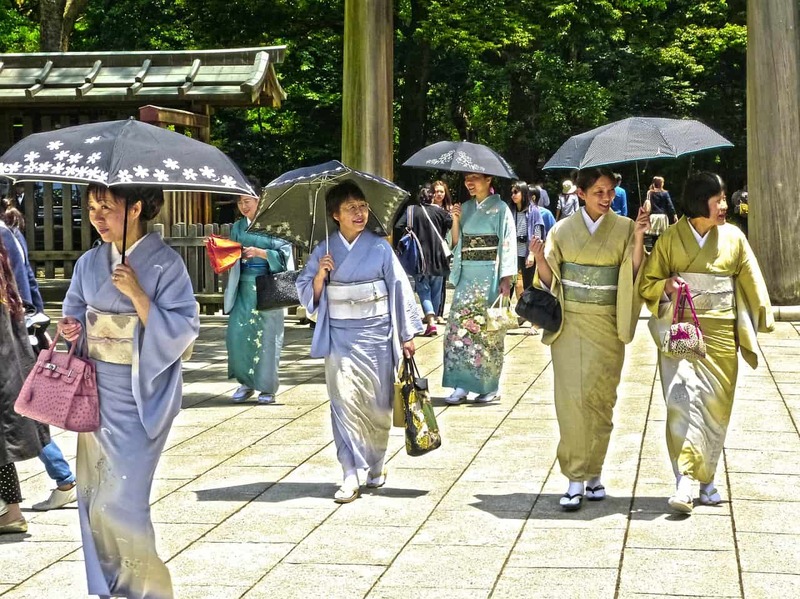 Most tourists visit to catch a glimpse of gothic Lolitas, colorful costumes, and real-life Anime styles. This is the largest and busiest fish market in the world. Visitors try to get here by at least 5 am to see the hustle and bustle of the tuna auction. Access is partially restricted to visitors, but the outer region of the market has plenty to see as well. Tokyo is famous for Anime, electronics, manga, and video games. Akihabara is the epicenter if it all. It becomes a jungle of electric lights and colors at night, providing a sensory overload for visitors. Getting lost, window shopping, and photography are top activities here. This is where some of Tokyo’s quirkiest attractions live. Visit the Maid Cafe, Electronic Town, Donki, and Mandarake. This ancient temple is the oldest and most significant in Tokyo. Next to it are the Shinto and Asakusa shrines, together making up one of the top temples in Japan. It receives 30 million visitors every year, making it the top spiritual site in the world. The temple grounds are a popular spot for spending a nice afternoon eating traditional snacks from the nearby restaurants and cafes. Springtime in Japan is when the cherry blossoms are in full bloom. Large areas of the city turn completely pink, and camera-wielding visitors dot the landscape. The cherry blossoms can be seen all around the city but some of the top spots include: Ueno Park, Shinjuku Gyoen, Chidorigafuchi, Yoyogi Park, Meguro River, and Koishikawa Korakuen. March to April is the best time to see them and check out the various cherry blossom festivals in Tokyo. This imperial shrine is dedicated to Emperor Meiji and his wife. After the emperor’s death in 1912, the local government wanted to commemorate him and his family. The stunning structure and the complex that surrounds it can be found in a serene forest setting. Guests can also check out the museum and the mural gallery onsite. Home to the busiest railway stations on the planet, Shibuya Crossing has a reputation for being a bustling hub. This region is hugely populated, and is a hot spot for nightlife and youth culture. One of the top attractions is watching the street lights change at the main traffic crossing. Vehicles are stopped in all directions, allowing pedestrians to completely take over the entire crosswalk. There’s a Starbucks that overlooks the scene, so make sure to get up there and have a coffee while looking out below. Tokyo is famous for much more than this list. If you want to see these attractions then it is time to start planning now. You can discover the best time of year to visit here. Be sure to book on to one of our cooking classes to experience the joy of cooking authentic Japanese food.